There’s a good reason why Maine is known as “Vacationland.” The easternmost state in the U.S. has almost 3,500 miles of scenic coastline—even more than California— as well as mountains, lakes, and rivers where outdoor recreational opportunities abound. From whale watching to moose spotting, kayaking to hiking, enjoying wild blueberry pie or a lobster bake on the beach, Maine is an outdoor wonderland—and so much more. Maine offers a rich and relaxing lifestyle—and for teachers, it also offers the second-best student-teacher ratio in the country. With an average of 11.63 students per teacher, teachers in Maine have the opportunity to engage on a more personal level with their students, and thus have even more opportunity to provide high-quality and rewarding learning experiences. What are some of the benefits of becoming a teacher in Maine? How do I become a teacher in Maine? Maine is committed to providing the highest quality education for its students, and has been proactive and progressive in developing new programs to improve educational standards and accountability. What is a teacher’s salary in Maine? For example, Maine leads the country in use of technology in the classroom. The Maine Learning Technology Initiative began with a vision to equip Maine’s students with laptop computers in order to prepare them for the technology-driven world ahead. In the fall of 2002, Maine became the first state in the nation to provide all 7th– and 8th-grade students with laptop computers, and later expanded the program to include all high school students as well. Maine was also the first state to give all teachers in grades 7 to 12 personal computers, as well as the professional development and support they needed to use technology and the internet to its fullest educational potential. In 2009, the state ordered more than 70,000 laptop computers, the largest technology order ever placed for an educational program of its kind. A new accountability and improvement system. This system will assist in the evaluation of performance of students and schools, recognize successful educators, and help struggling schools. Smarter Balanced assessments. These next-generation, computer-based assessments of student learning will help teachers design more effective curricula in the future. Maine Schools for Excellence. Improving student learning and teacher effectiveness are the principles behind this initiative, funded by a five-year Teacher Incentive Fund grant from the U.S. Department of Education. Next Generation Science Standards. Maine, along with 25 other states, is taking part in this initiative in developing of new standards for teaching science. This venture will focus more on investigation than memorization of facts, so that students across the United States are better prepared for the workplace. Education Evolving: Maine’s Plan for Putting Learners First. The Maine Department of Education is currently refining its strategic plan, transitioning to an educational model that allows students a greater role in organizing their own education. In addition to the increased focus on learner-centered instruction, the plan will develop multiple pathways for learner achievement, as well as systems for more comprehensive school, community, and state support. Although Maine has seen a decline in the number of students enrolled over the past two decades, it’s expected that those numbers will soon begin to gradually rise. Elementary and secondary schools are projected to have the most job openings available, with fewer but a still significant number of openings for middle school and kindergarten teachers. Predictions through 2018 estimate that between 85 and 97 percent of teaching-job openings in Maine will be used to replace existing positions (with occupational growth accounting for the other three to 15 percent). Teachers with specialized skills and education are in high demand in Maine. The U.S. Department of Education has identified Maine’s greatest need for teachers through 2013 in the following areas: English as a Second Language, gifted and talented, mathematics, science, special education, technology education, and world language. Maine offers teachers competitive salaries (see above), and is ranked in the top five in the nation in quality of health-care services. Most districts provide comprehensive health-care plans, as well as dental and other benefits. Where can I work in Maine? Cities which have their own school departments. School Administrative Districts (S.A.D.s), usually made up of two or more communities that cooperate to provide education to their students. Community School Districts (C.A.D.s), typically comprised of two or more communities joining to provide education to some, or all, grades. Unions of Towns, with two or more communities sharing a superintendent, but otherwise separate. Unorganized Townships or Territories, where the schools are run directly by the state. Indian Reservation System. The three communities of reservations in the state function as a Union of Towns. A complete listing of schools in Maine, as well as links to specific school websites, can be found at the Maine state website. Maine has an active teacher organization, the Maine Education Association, which advocates for teacher benefits and offers member discounts for loans, insurance, and various products and services. In addition, the organization keeps members informed of professional development opportunities and legislative issues related to education, and host professional-issues conferences each year. Teachers in Maine can retire at any age, as long as they have completed 25 years of service. The Maine Public Employees Retirement System offers a comprehensive retirement plan and planning service, to help teachers prepare for their futures outside the classroom. To become a licensed teacher in the state of Maine, one must have a bachelor’s degree and have graduated from a state approved program of teacher education. Before being certified for licensure, prospective teachers must pass the PRAXIS I basic skills test and also the Principles of Learning and Teaching Test relevant to the grade level they intend to teach. The PRAXIS II exam must also be passed to receive certification for each content area the teacher wishes to teach. 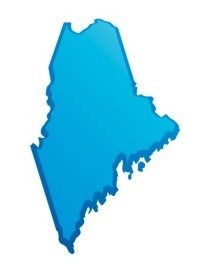 Maine offers different levels of teacher certification based on experience—a two-year provisional certificate for new teachers; a professional certificate after two years of teaching; and a master certificate, which requires national board certification to achieve. For more information on teacher certification in Maine, in addition to links and advice regarding documents, certification process, and contact information, visit teaching-certification.com.